OUR WORLD-CLASS FORUM IS NOW ONLINE!! 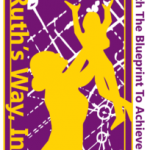 Now, moms and daughters from across the nation can take advantage of the award-winning Ruth’s Way Life Skills Just For Girls Forum. We've taken the decades of intensive research and the thousands of one on one interactions we've had with our past participants and put it into a comprehensive, easy-to-follow class that you can enjoy from the comfort of your home. Sign up below to get started today! Does your daughter show ANY signs of low self-esteem? What does your daughter want to be when she grows up? We help you and your daughter find the RIGHT path for her future. Does your daughter know how to balance a checkbook? Learn the right way to think about and handle money to have a financially secure future. How many times has the school called you regarding your daughter’s “inappropriate attire”? With so many choices for a young woman to take, she needs the tools to know how to evaluate choices that can save her life! Does your daughter know how to navigate her feelings and emotions? She will learn how to express her thoughts and feelings in a healthy and productive way. Is your daughter in an abusive relationship? Abusive relationships come in many forms. Learn the key signs to know if she is in one. We are what we eat. Did you know that diet can impact thoughts, emotions and behaviors? Learn what (and how) to eat to have a healthy body and brain.